First daughter Malia Obama has been spotted checking out colleges in New York City. NYU student blog NYU Local reported Malia, 16, and mom Michelle Obama were seen touring the campus Friday morning. A witness accidentally got onto the elevator with the Obamas, along with their Secret Service detail and an admissions ambassador, at Goddard Hall, the blog reported. "Apparently everyone was told that the elevators were 'shut down' for the 10 minutes they were in the building, but I knew the truth," the witness told the blog. 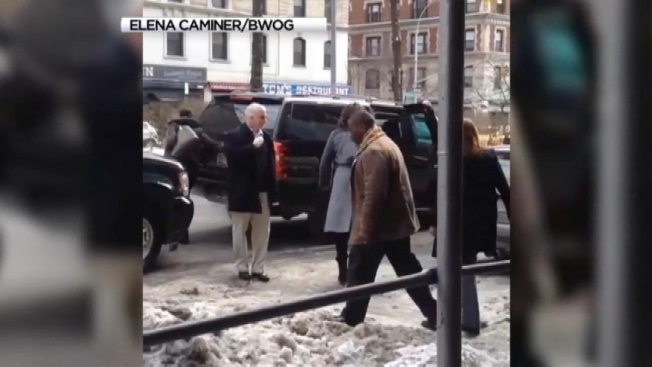 Malia was later seen on the Columbia University campus, the campus news site Bwog reported. Student Geetika Rudra posted an Instagram photo of the First Lady at nearby Community Food and Juice cafe in the afternoon. "FLOTUS! Michelle and Malia Obama at Columbia!" wrote Rudra. Malia Obama is currently a high school junior at Sidewells Friends School in Washington, D.C.